All public schools and many Christian schools depend on the textbook produced by a few major secular publishers. And those books have faced increasing scrutiny in recent years. Teachers are raising objections to the quality of books available. The superficiality, distortion, and errors in many textbooks have brought publishers under pressure to reform their products and writing processes. Yet, secular publishers are hesitant to make changes unless their leading markets require them. Wholesale change is expensive, and the publishers want to guarantee their own continued existence. The weaknesses in currently available textbooks are often caused by the fact that the textbook industry is so market-driven. 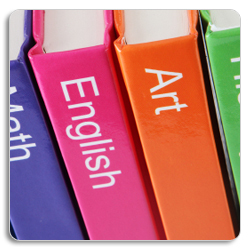 Several decades ago, textbooks were produced by many different competing publishing houses. This competition produced a variety of unique, creative books. However, in the 1980s and 1990s, the companies began to buy out each other, trying to eliminate the competition. Now four huge multinational corporations dominate the entire field of textbook publication: Pearson (a British company), Vivendi Universal (a French company), Reed Elsevier (British-Dutch), and McGraw-Hill (the only American-owned textbook corporation). This change resulted in imitative, less diversified texts that seek the largest possible market for the least amount of financial investment. The current textbook market results from a combination of commercial and educational groups whose interaction actually harms the quality of textbooks rather than improves it. A basic understanding of this multilayered market will help define the problem. Clearly, publishers cannot afford to produce a textbook for every state and its unique criteria; so each publisher must create a book that meets the criteria of the majority of its clients. So the publishers attempt to meet the combined curricular requirements of the three key adoption states. As a result, the curriculum guidelines for California, Texas, and Florida dominate the scope and sequence of nearly all textbooks published by the four main publishers. The result of this struggle for the biggest slice of the market is an unfocused, weakly defined version of what teachers want and students need. The curriculum documents of Texas and the other two adoption states contain more "facts, topics, ideas, concepts, vocabulary, cognitive tasks, pedagogical features, and social imperatives"5 than could be effectively treated in any one text per grade level. Trying to make their books universally acceptable, publishers end up with watered-down content. They attempt to satisfy a variety of curricula demands through graphics and sidebars. The result is a "splintered vision" of what needs to be taught, books that some experts believe "lower the academic performance of students who spend years in such a learning environment." Chester E. Finn, Jr,. president of the Thomas B. Fordham Institute, opines, "To rely for one’s course content and lesson plans on inferior instructional materials is like boxing with an arm tied behind one’s back: success is apt to prove elusive." Such texts are an invitation to failure for today’s students. However, the superior standards and individuality of textbooks produced by Christian publishers make them a clear improvement over secular texts. These Christian textbooks have a higher level of scholarship and dedication to truth than the secular ones, and provide a wonderful option for Christian schools. See ChristianVsSecular.com for more information on secular texts. 1For a detailed explanation of the significance of Adoption States, see Harriet Tyson, "Overcoming Structural Barriers to Good Textbooks," 1997, and The Mad, Mad World of Textbook Adoption, study conducted by the Thomas B. Fordham Institute, Washington, DC, September 2004. 3Tamim Ansary, "The Muddle Machine: Confessions of a Textbook Editor," Edutopia (November 2004) . 4Harriet Tyson, "Overcoming Structural Barriers to Good Textbooks,"(1997).